How much does it cost to build myself a website? Recently, during a WordPress creation course in Equinet Academy, a student asked about the actual of cost to creating a website. I did some research online about the cost of a website and found that most articles are from overseas and may not be suitable for entrepreneurs in Singapore. Therefore, I have decided to work on this article and to estimate the cost of a website building from scratch. For the purpose of this article, we will use a new boutique hotel in Singapore as an example. 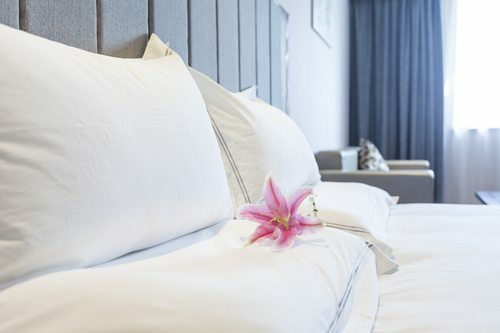 Imagine you have just bought a new boutique hotel would like to do up a website for it to allow your guest to check for availability and do online booking of rooms. Based on the chart above, we have decided to pick Vodien for their hosting and server plans. We will be using WordPress (with divi Builder) and woo commerce for this website with a woocommerce plugin: WooCommerce Accommodation Bookings. Divi Builder is a visual editor that will help us to create and add any pages easily on WordPress. Wait, why Divi Builder? Because we (Lemonade) are using Divi builder too. In our opinion, it is really easy to update your website in future. I will need a content writer to write the content of my website and description of my rooms. Based on our experience and reference from Up work (https://www.upwork.com/hire/content-writers/) good content writers rates is around $40/$60. Let’s set a budget of $1,500 for content writing for 30 hours of work. Now, with all the framework, design and content ready, I am ready to build my site. To calculate my time and effort, I will put my hourly rate as $15/hour ( if your monthly salary is 2,500 then 2,500/22 working days/8 hours per day). I estimated that it will take me 3 weeks to complete the whole website. But none works like our own website maintenance plan; LEMONADECARES Security Suite For just $85 per month, we got everything more than the list above. Building your own website requires a lot of patience and while most of your friends or people around you, claims that is is easy to make your own website, you should never forget to take your time and effort as part of the cost of your website. Of course, you can always take out some of the cost mentioned above (e.g. content writing) and do it on your own. Nonetheless, enjoy the process of website building and good luck in doing up your masterpiece! Oh! Did we mentioned, you can get a simple website for just 2,800 – Contact us today for more information!